You wanted some Friday blogging, Gators, so pull up a chair. . .
Gov. Lujan Grisham, who had some rough sledding with the state's conservatives during the recent legislative session, is doing some damage control. And while the first public poll of her governorship probably misses the mark, it can't hurt her to continue to salve the wounds opened by controversial legislation. The online Morning Consult survey of registered voters conducted January 1-March 31, has the Guv's approval rating at 41 percent, her disapproval at 33 and the undecided at 27. Considering she was elected with 57 percent of the vote last November, that is quite anemic. However, as veteran analyst Greg Payne points out, that poll has Senators Udall and Heinrich at only 39 percent approval and that seems artificially low, condsidering that Heinrich was re-elected by a large margin just last November. We checked with an insider privy to other recent independent polling that is not made public and uses live interviews with voters. They said the Guv's approval number is over 50 percent (and the Senators’ are higher as well). I’m not daunted by obstacles, whether it’s NRA propaganda, rogue sheriffs throwing a childish pity party or bad-faith critics. Legislative leaders and I will continue to fight the scourge of gun violence in our communities. That tongue lashing led to "Going Rogue" memes popping up all over the Net and the most intense criticism that MLG had received since getting elected. The conservative base outside of the cities was up in arms. I was very pleased to meet with a group of county sheriffs on the Fourth Floor. We had an incredibly productive dialogue about working together to keep our communities safe. I'm grateful for their participation and honored by their service to this state. 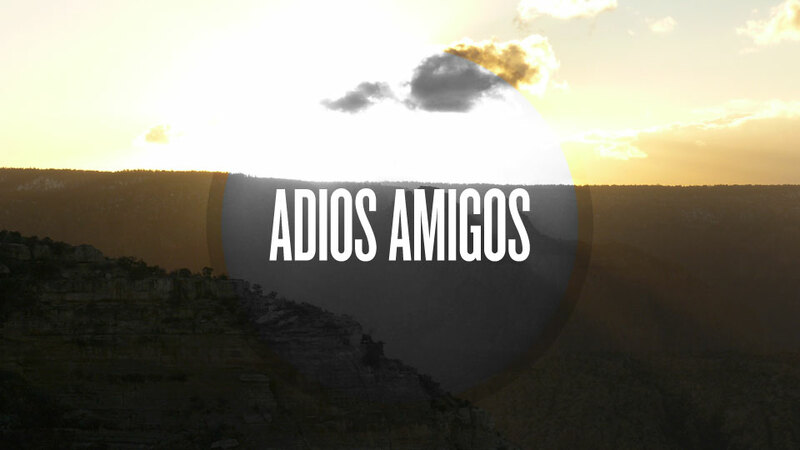 We might disagree from time to time, but at the end of the day we are all New Mexicans. We successfully found common ground while discussing disagreements with civility. I look forward to our continued conversations about public safety, gun violence prevention & behavioral health. Why rub your opponents noses in the mud when you have the votes? You don't. And that’s how you go from campaign mode to governing mode. One other note: Do you think the chaos on the border could impact her popularity? 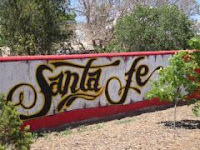 Immigration is a tricky issue and this week it had Santa Fe Mayor Webber clarifying the level of assistance immigrants coming to his city will be getting. The new governor needs to keep her ears open to a wide variety of views. The men and women who carry our mail day-in and day-out are public servants in every sense of the word. One mailbox at a time, they bring our community closer together. This tragic shooting has shaken our city. We are grieving with the family of the victim, and with the entire postal service family. While we are working to get answers to the many remaining unanswered questions, we know we must, and will continue to, fight against the gun violence that has taken a terrible toll on our community. Fighting crime will remain our top priority. Albuquerque, please take some time in the next few days to personally make sure your local letter carrier knows how much you appreciate them, and give them your love and support. Now this from ABQ attorney and former APD officer Tom Grover who thinks that misses the mark. To the person who committed this act, my advice is to surrender as soon as possible.All available resources will be employed to find you and bring you to justice. I’ve directed my police department to leave no stone unturned and we will fully assist the FBI and the USPIS in your apprehension. This, and the other horrible acts of violence which have been plaguing our city, will be met with the full commitment of every person in APD, from patrol officer to chief of police. The 17 year old alleged to have killed the mailman has been captured. thanks, tom. You're not running for something, are you? 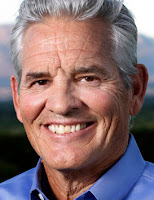 Republican Brad Winter, the longest serving ABQ city councilor with 20 years of service, appeared to be poised for another re-election bit but Thursday he pulled the plug on his political career, announcing he would not seek re-election to his District 4 seat in the NE Heights. That threw the door open for the Dems who have three announced candidates in the race and could get more. No R's have yet surfaced for the November 5 election but the GOP could retain this swing district. Unlike the state legislature, the Albuquerque City Council usually puts politics aside. For the most part we have been a fair and balanced group that operates as a true check and balance of the executive’s power. Well, they sometimes put politics aside. Winter will be more fondly remembered for the first half of his two decade tenure. When Republican Mayor RJ Berry took the helm for eight years in 2009 there was nary a peep of criticism from Winter, even as many concerned citizens pounded the table for Winter to say something about the APD wreckage, the soaring crime rate and an economy sliding fast. But he had come under the influence of then-Gov. Martinez's political machine. There would be no "check and balance" and, well, the rest is history. Winter brought decency, fairness and a love for his native city to the table. He just happened to end up on the wrong side of history. You're working me to the bone, Gators. Will you let me outta here for a while? Maggie Toulouse Oliver made her official entry into the race for the 2020 Democratic US Senate nomination Wednesday and immediately went to work to give the New Mexico blue wave a dollop of pink. She unveiled a well-produced video aimed squarely at women who she hopes will back her in sufficient numbers to give her the nomination and ultimately help make her New Mexico's first female Senator. We all deserve a Washington not driven by malice but instead driven by hope and a vision to make things better. That language signaled that she will largely rest her hopes of winning on becoming the first woman senator from the state and that a direct take down of Lujan and his role in DC is probably not in the cards. She wants to win but isn't going into this like a war. She wants to be left standing for something else if this race doesn't work out. If so, that could be MTO's most fateful decision of the campaign. However, making a big jump by pounding DC establishment Dems could help her by further alienating Lujan from the likes of Bernie Sanders and Alexandria Oasio Cortez (AOC) whose progressive views made them national forces and fund-raising giants. Can MTO raise the necessary campaign funds by taking a more quiet, safer route? That's the multi-million dollar question. The question of MTO running into some negative campaigning of her own--from Lujan or his acolytes--was raised by her at the front of the video when she said she had not led a "perfect" life and introduced herself as a single mother. She has been married and divorced twice, and while she has won two races for Secretary of State her background has not been fully vetted for a top ballot position such as US Senate. As she acknowledged, that now changes. (I want) a Washington that recognizes that women should damn well make what men make for the same work. The use of a mild curse like "damn" is still a rarity in campaign announcements but with Trump redefining political language, she turned it to her advantage to rally her troops. She hit the liberal hot button positions like equal pay and Medicare for all. By not rushing to get it out she came across more polished and less rushed than Lujan did in his announcement video. He had to put something up fast after Senator Udall announced his retirement in order to keep (Attorney General) Hector Balderas out.
. . . Our poll of 600 likely Democratic primary voters shows Luján leading Toulouse Oliver, 64-25 percent. The poll was conducted April 15-18, using live dialers, reaching voters on cell phones and landlines, and carries a 4.0 percentage point margin of error. . . While both candidates have similarly low unfavorable ratings, Luján’s favorable ratings are 15 points higher overall and with more intensity. Luján’s name identification is 15 points higher, but that does not account for his lead. Luján leads 63-28 percent among voters who can identify both candidates. Luján leads by at least 20 points in each of the state’s three congressional districts, among Hispanics and Anglos, men and women. The actual question posed to determine those results was not available, so there's your proverbial grain of salt. Also, the survey was paid for by BRL's campaign. Having said that, the results are not that far off from how most political pros we consult see the race, namely that it is Lujan's to lose. But MTO did not falter at the starting line. That was job one. Job two is to keep doing it and doing it and hope the other guy doesn't. NM GOP Chairman Steve Pearce, still searching for a top tier candidate to seek the Republican Senate nomination, took time out to call on MTO to resign as SOS because, he said, she now has a conflict as a candidate whose job it is to oversee the primary election. New Mexico is my forever home. I could’ve gone to work in Washington DC 20 years ago and I chose New Mexico and again at this time, I chose Northern New Mexico. So instead my God-given energy will be focused on the needs of our residents and serving the public, not campaigning for Congress. It was a tough decision and I will never forget the outpouring of support for Congress as long as I live! The decision by Espinoza, a former two-term Santa Fe County Clerk and two-term PRC Commissioner who ends her run at the end of next year, makes a wide open race even more so. But there could still be a Valerie in the running. Santa Fe's Valerie Plame is weighing a run for the northern seat. Wrap-up the political week with us on the Friday blog tomorrow. We're not going to belabor yet another outbreak of deadly violence in ABQ--this time a mailman is shot and killed by a 17 year old who is on the run and other assorted murders--because it was only on April 15 that we covered the previous crime spree that ended with the deaths of two children and others. That report is here. We can only hope we are not seeing a "new normal." Now on to La Politica and a much lighter side. . .
Old age isn't what it used to be. Joe Biden is 77 and will announce another presidential bid this week. 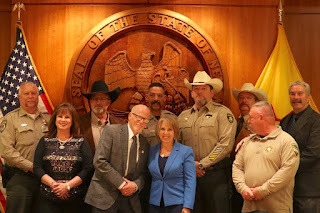 And as we blogged Tuesday, ABQ Dem State Senator Jerry Ortiz y Pino, who will turn 77 this August, is rarin' to get another re-election campaign going, and 87 year old Mary Kay Papen hasn't yet ruled out another bid for her Dona Ana County senate seat. All of that bring us to. . . I have one more year to go as a state senator. When my term is up, I’m thinking about running again. It depends on my health. The people want me to run. Well, he actually has nearly two years to go as a senator--until the end of 2020, but the June primary is about a year away and winning that is nearly equivalent to winning the general election in the heavy Democratic district. Not that Pinto has much to worry about. He hasn't had an opponent in years. As a living legend--he is one of eight original Navajo Code talkers who are still alive who helped America win WWII--who would dare challenge him? 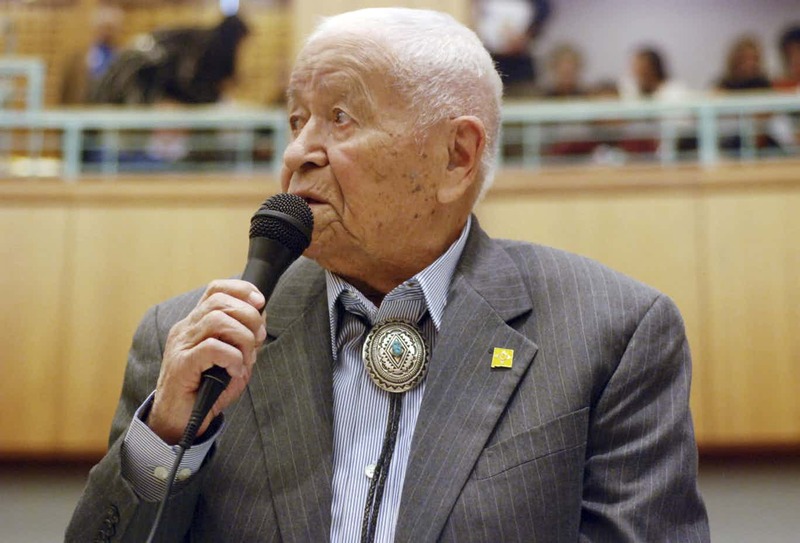 He's also known for bringing home the bacon to his rural district, He says one of his biggest accomplishments was securing funding for a four-lane highway from Gallup to Shiprock – U.S. 491. The bill for that ran to about $400 million. When you build a four-lane highway it costs a million dollars a mile. The state legislature loves me here in New Mexico. I’ve got a lot of friends here. Good stuff there. But age is wearing some on Pinto. He no longer famously sings the Potato Song at the end of each legislative session and his gait has slowed so his colleagues anxiously await his decision. 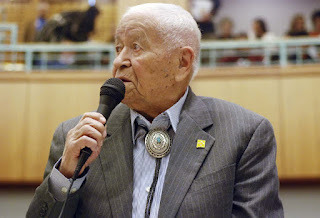 If Pinto's health holds and he wins re-election in November of next year his term would expire at the end of 2024---just days after he would have turned 100 years old. How about that?! How can you not root for the guy? Brett Kokinadis, founder of New Mexico Democrats for Democracy (NMDFD), changed his party affiliation to Republican, saying, “I see this as an opportunity – an olive branch - to unite New Mexicans. Many politicians talk about working across the aisle; I’m jumping across it to build a bridge for New Mexico’s future." “I was accused of attacking the Democrat Party because I was talking about policy, facts, and vision, or lack thereof, of all candidates, regardless of political affiliation. I didn’t buy into the mantras, the division, and hate. . . I was pushed out of the Democrat Party for talking facts. “As a gay man, I care about a platform of equality and opportunity. . . a clearly executable plan for our state and nation. ABQ businessman Jeff Apodaca, son of former NM Gov Jerry Apodaca, was also active in NMDFD during last year's election in which he sought the Dem Guv nomination, and still is. However, Apodaca says he has no plans to run for elective office and recently told KKOB Radio he will not join the race for US Senate. Meanwhile, ABQ's Giovanni Alexander Haqani has announced he will seek the Dem US Senate nomination. If he breaks through we'll give him initials just like we do BRL and MTO. That would be GAH. And BRL's senate campaign came with that list of women who support his candidacy. It turned out to be 300, larger than the 200 a campaign insider said to expect. Get ready for a heavy duty courtship of Democratic women by Rep. Ben Ray Lujan and Maggie Toulouse Oliver as they clash for their party's US Senate nomination. Former Lt. Gov. Diane Denish; PRC Commissioner Linda Lovejoy; former Attorney General Patricia Madrid and popular Santa Fe State Senator Liz Stefanics. Those are longtime Dems BRL has enlisted. MTO supporters would call them "establishment Dems." Her appeal, they say, will be with the new generations of Dem women. The contenders will have plenty of time to roll out their female support. It's still over 13 months until the primary election. 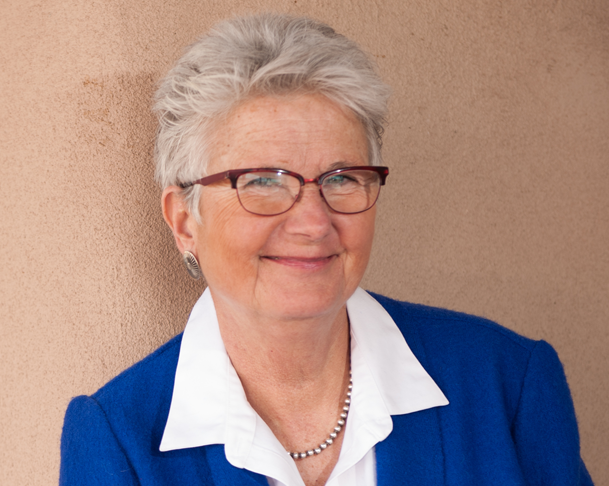 87 year old State Senator Mary Kay Papen might be ready to wrap up what would be a 20 year stint in Santa Fe, but a Senate elder statesman says he's ready for another four years. ABQ Dem Senator Jerry Oritz y Pino, who turns 77 in August, says he will run for another four year term in 2020. He was first elected from his downtown district in 2004. He is regarded as the leading liberal at the Roundhouse. Asked why he is ready to go back, he said: "I am having too much fun." Well, glad someone is. . .
I’m not a spring chicken, and I don’t own the seat. 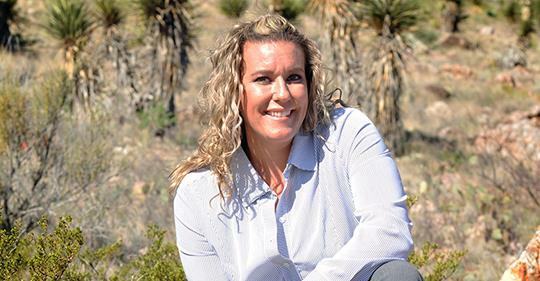 38 year old Tracy Perry has announced her Dem candidacy for Senate District 38 in Dona Ana County and is running as a "progressive Democrat." That's important because if she were to replace Papen, who is the Senate President Pro Tem, it would be a blow to the conservative Senate coalition. Papen is one of a handful of Dem senators who sometimes vote with the Republicans to form a majority coalition that often dooms progressive bills. The progressives have said that they will be going after coalition members and Papen made the list. 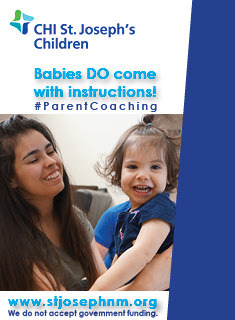 Perry, a single mother of three, is the director of Direct Therapy Services which works with the developmentally disabled. She has lobbied for the cause in Santa Fe. This is her first run for public office. She is a member of Emerge NM which specializes in recruiting women candidates. Meantime, Raymond Concho of Acoma Pueblo, who told us earlier this year that he might mount a primary challenge against another member of the coalition--Dem Senator Clemente Sanchez of Grants--tells us he is still undecided but should make a decision soon. The Census Bureau’s 2018 total population estimates shows that now 13 states will be impacted by changes in their congressional delegation if these new numbers were used for apportionment today. The state of Arizona joins the previously indicated states of Colorado, Florida, North Carolina, and Oregon to each gain a single seat while the state of Texas is now shown to gain a second seat with the new data. The states of Rhode Island join the states of Illinois, Michigan, Minnesota, New York, Pennsylvania and West Virginia to lose a seat in Congress using the new data. By the way, in the first draft of the Monday blog we had a typo in reporting the state's population from the Census. The percentage change of 1.8 percent from 2010 until 2018 was correct but the total population should have stated that we went from 2.059 million to 2.095 million. Joe, Very well done. Nobody else is saying it and it's all so very true and important. I've got daughters in UNM law and med schools, and listening to them and their many friends, they all want out of Albuquerque as soon as they get degrees. You credited the legislature for making progress this past session in changing all this. What are you referring to? I'm unconvinced unless you conclude more spending on primary education will reliably yield changes to the key issues you aptly summarized. Nothing this session to immediately tackle crime, drugs, or advance better job creation. Perhaps minimum wage increases, but that doesn't seem to have arrested the slide in the cities which raised their minimums years ago. But hey, although Bernalillo County grew by only 15 people in the past year, it's now safe from the threats of plastic bags. Maybe Mayor Keller can give those 15 newcomers a year's supply of paper bags for making the move here? If not that, how about some bullet proof vests? The decade of 2010-20 is poised to become the slowest for population growth in 107 years of state history, and the impact of that dubious milestone is felt in a broad swath of economic, social and political outcomes. The latest stats from the US Census Bureau show that from April 1, 2010 to July 1, 2018 the Land of Enchantment has grown its population a mere 1.8 percent, from 2.059 million to 2.095 million. According to Wikipedia, only the decade of the 60's has seen slower state population growth. Back then it was still much higher at 6.9 percent and that was seen as a crash. No one wants to Californicate New Mexico. Part of its charm is its uncrowded conditions but the state is not growing for the many menacing reasons your blog has outlined during the course of this decade--the lack of good-paying jobs; a slowing of federal funding for the national security and defense apparatus; an under educated work force; educated students fleeing the state for greener pastures and a horrific crime wave featuring record murder rates and rampant child abuse caused in large part by a drug epidemic spurred by growing poverty. Well, this trend is nearly a decade old so we've already had plenty of time to "better plan." Big BernCo County did not live up to that nickname in the latest Census numbers. Only 15 more people--that's right 15--lived in the county in July of '18 than July of '17. Maybe they should all be honored at one of those Chamber of Commerce dinners. The state's fastest growing county in the Census year measured was Sandoval which is attracting neighboring ABQ residents to Rio Rancho where housing prices are more friendly. The state's lost decade coincides with a rise in progressive/liberal politics in the muscular cities of ABQ, Santa Fe and Las Cruces where more growth has taken place than the rural counties which have been hit hardest economically. The state went from a swing state in federal elections in 2008 to nearly a "Safe Blue" state with Dems in 2018 taking all five slots in the NM congressional delegation. 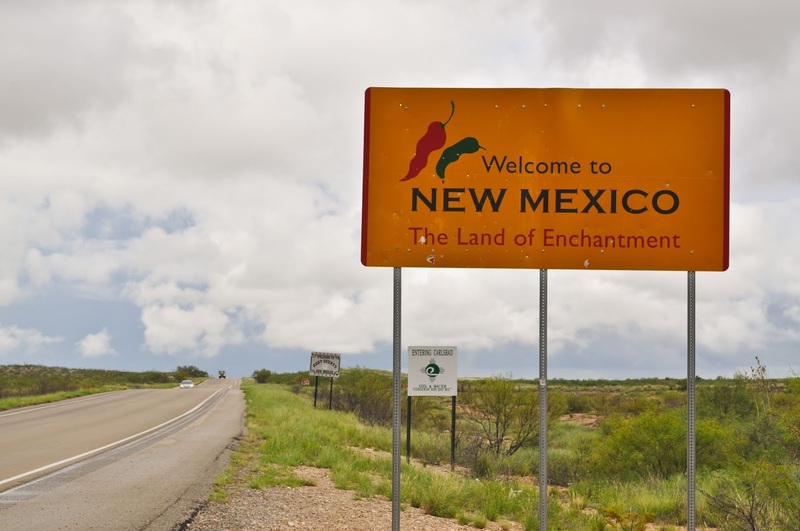 The economy of the state this decade has been downsized as seen in the ABQ metro where payday loan stores have sprouted like dandelions after a good rain and where the low-paying service sector is becoming more economically dominant. Some smaller impacts of the Great Stagnation are interesting to note. The restaurant scene has changed dramatically with white table cloth places nearly extinct (except in tourist heavy Santa Fe) and an explosion in pizza and hamburger joints has occurred and dot nearly every street corner in ABQ and elsewhere. Upscale men's and women's clothing stores have mostly gone the way of the Dodo bird. Sure, folks dress up less than in the past but it is also a sure fire sign of the decimation of the well-paid professional classes here. On the upside of the stagnation, traffic remains tame compared to most other western cities; the ABQ airport is almost never crowded; reservations are easy to get at restaurants that take them; visiting the great outdoors, including the national parks, is still a way to escape the masses, not join them and with the rise of Amazon the lack of retail growth and availability of products in a small city or state is no big deal. Anything can be shipped anywhere. But the rub is that so much of the population that has stuck around is disenfranchised economically and educationally. The powers-that-be started to tackle that in the recent legislative session, but it will take years for any significant strides to register. Meantime, the state has grown more polarized, with the small wealthy population occupying shrinking patches of gated communities and utilizing private schools to avoid the hazards of public schools. New Mexicans don't mix as much as they once did. After the Great Recession started to take hold here we often wrote that "you were going to see things that you never thought could happen." Together we have and now we have seen another--a once booming Sunbelt state experiencing an historic decade of going nowhere fast. With apologies to the state's official slogan, "It goes, but it does not grow." 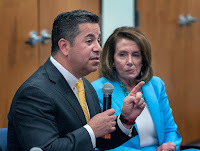 US House Speaker Nancy Pelosi moved to clear the field for Rep. Ben Ray Lujan in the contest for the 2020 Democratic US Senate nomination Wednesday, issuing an endorsement of Lujan that jarred the camp of Secretary of State Maggie Toulouse Oliver and raised the possibility that there could be no big name challenge to Lujan or, if there is, it would be flaccid. It was a double whammy for MTO who says she will make a decision on the Senate race at the end of the month but has been giving hints that she wants to get in. 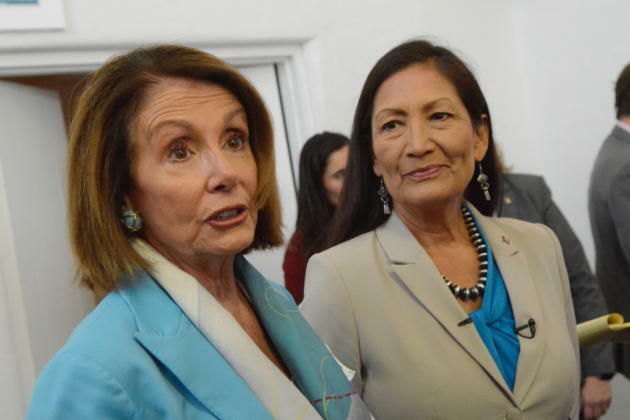 Not only did Speaker Pelosi go all in for Lujan but she was joined in endorsing the northern NM congressman by his colleague, ABQ Dem US Rep. Deb Haaland. (The complete Pelosi and Haaland endorsements are below). Haaland, the first Native American congresswoman, is the darling of the liberal nominating wing of the Democratic Party in big Bernalillo County which is also the county where MTO is most popular. Haaland slamming the door shut on her was almost as deafening as Pelosi's door slammer because MTO and Haaland share a large base of supporters. The Washington Democratic establishment does not want a fight down there. They don't want to worry about the race in New Mexico. Also, they don't want a lot of left wing people running here and elsewhere and not winning and possibly endangering their chances of taking the presidency next year. 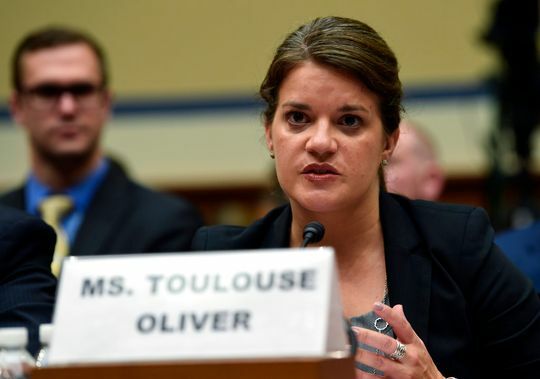 A run by Toulouse Oliver is seen as forcing Lujan to spend much of his campaign cash and setting up an opening for a Republican in the 2020 general election. NM is safe Dem and this is their way of keeping it that way. It's not quite time to reference MTO's possible candidacy in the past tense, but with the Pelosi shoe dropping and others probably lined up to do the same, it's hard to see a viable fund-raising path for the secretary of state, but we do glimpse one. MTO could go all in with the AOC wing of the Dem Party and ignore Pelosi's endorsement, arguing that she is an enemy of the progressive wing of the party. That could attract national grassroots money that has been alienated by Pelosi as she wrestles with how to handle the aggressive AOC caucus. That route, however, would make MTO enemies for life and at only 43 she will want to be a viable player in the decade ahead for whatever political opportunities arise. 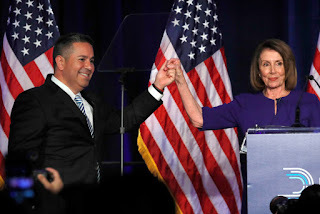 That's why the Pelosi/Haaland endorsement could be a door closer for her for 2020 and just what the doctor ordered for the 46 year old Lujan who does not want a divisive, negative primary campaign, no matter how much he is favored to win. During the 2018 cycle and under the threat of a gerrymandered map, Congressman Ben Ray Luján (who served as chairman of the Democratic Congressional Campaign Committee) led our House Democrats to an astounding Majority not seen since Watergate. From his fight for health care to his resolve for the people and determination to advance a progressive agenda, I am confident that he will serve the great state of New Mexico as its next U.S. Senator with honor. New Mexicans deserve a public servant who can fill the shoes of Senator Tom Udall, and continue the legacy of Senator Dennis Chávez by fighting for working New Mexicans and prioritizing public education. I believe that person is Ben Ray Luján. Last election cycle under Ben Ray’s leadership, Democrats took back the Majority in the US House, and he has been a champion for protecting the ACA, ensuring that all New Mexicans have accessible and affordable healthcare. He champions issues for Native Americans, and I am proud to endorse my friend Ben Ray Luján for US Senate. A sidebar: BRL's father was NM Speaker of the House Ben Lujan. By working with then-Gov. Richardson the elder Lujan was key to BRL winning a seat on the Public Regulation Commission (PRC) that launched his career. Now comes another Speaker--Nancy Pelosi--doing much the same. BRL will never get to be a Speaker, as seemed possible before he launched his Senate bid, but he has taken advantage of the power of two speakerships without ever holding them. And with that we break for the holiday and say, Happy Easter, New Mexico. 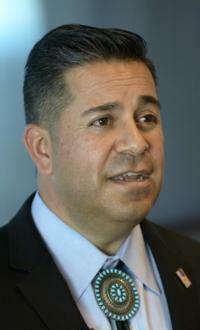 Wednesday afternoon US House Speaker Nancy Pelosi officially endorsed the Senate candidacy of Rep. Ben Ray Lujan. ABQ Dem US Rep. Deb Haaland also endorsed Lujan. The dual endorsements delivered a blow to the possible Dem Senate candidacy of Secretary of State Maggie Toulouse Oliver. There was no Ben Ray money bomb but neither did he bomb in his first quarter fund-raising. Lujan, the only announced candidate for the 2020 Dem US Senate nomination, reported that as of March 31 he had $650,000 cash on hand after raising $500,000 in the January-March quarter which came before he announced his Senate candidacy April 1. That's an ample sum but not a seven figure "money bomb" some insiders speculated could come and would have all but shut the door on a primary challenge. You had heard BRL will "blow the doors off" and have "at least seven figures." Well he came up very, very short on that. Pretty disappointing considering the fanfare. And when you dig into the money, it doesn't really get better for him. It's overwhelmingly corporate money: pharma companies, Walmart, fossil fuels and coal...to name a few. Not a good showing for all the bluster and what he did raise is a tough pill to swallow with the Dem primary base. Point taken but no one is sneezing at the $650,000 the northern Dem congressman has banked. And he remains far and away the heavy favorite to take the June 2020 Dem nomination. Still. . . While Ben Ray won't be seen at any payday loan stores, the fund-raising report could give a bit of encouragement to Secretary of State Maggie Toulouse Oliver who is thinking about challenging Lujan for the nomination. MTO's fund-raising would start at ground zero. The little she has in her state campaign account could not be directly shifted to a Senate race. Her hope is that national women's groups will rally to her side and kick in the cash needed to make a respectable run. But if she can't line that up it won't matter much if Ben Ray is at 650K or $1 million. It's reported that MTO has been in contact with Emily's List as she mulls over her Senate decision. But that powerful group is aligned with US House Speaker Nancy Pelosi who is an ardent backer of Ben Ray and who could be expected to run interference for him, but you don't know until you know. Meanwhile, the BRL camp would be wise to line up a formal Pelosi endorsement before MTO has a chance to jump in. (He rolled out his first endorsement this week--from the NM Professional Firefighters Association). A contested Dem Senate primary would cost in the area of $3 million or more, say the consultants. As Assistant Speaker with national connections BRL has the ability to get there. MTO probably does not. The SOS has little to lose if she does make a run at the Dem nod and comes up empty--except perhaps her pride. She is not up for re-election until 2022 and if she gets in and something out of the blue happens that changes the narrative for a BRL win, she is there to take advantage. She is already indicating those are enough reasons to get her on the campaign trail. But none of them have dollar signs besides them and therein lies the rub. The Republicans have their first official US Senate candidate on the campaign trail, but you're not hearing yelps of delight from them. That's because Gavin Clarkson, a Las Cruces business law professor who served in the BLM in the Trump administration, is not seen as a first-tier contender. He was the GOP nominee against SOS Toulouse Oliver in '18 and was easily defeated. He says he will hammer hard at the the immigration crisis on the border. That will help him with the GOP base, but this candidacy has narrow casting written all over it. Insiders are starting to conclude that the GOP is not prepared to field a top tier candidate in the Senate race and won't. And that makes the Dem nomination all the more valuable. Torres Small wants more people to come into the country legally, and she supports issuing more work visas and simplifying the asylum process. But she also wants to secure the border. The best way to do that, she says, is not by building a continuous wall, but by hiring more Border Patrol agents and making sure they have all the resources they need. . . When talking to Torres Small about border security, there is one particular phrase that comes up a lot: “We need a clear and moral immigration system.” In a 30-minute conversation, she says it three times. The tag line, taken straight from a campaign ad, is hard to argue with. It’s also extremely vague, somehow appealing to many on both sides of an issue where the sides agree on almost nothing. There aren’t many of those types of phrases. So Torres Small says it again, and again and again. As we blogged yesterday, GOP southern hopeful Yvette Herrell had $285,000 at the end of the quarter. Las Cruces businessman Chris Mathys, the other GOP hopeful, did no fund-raising but loaned himself $76,000. We’ll join veteran radio personality T. J. Trout at 5 p.m. today and kick around the latest La Politica on 770 KKOB-AM and 94.5 FM. Hard to believe that after all these years we have not met him in person. Heck, maybe we should wear a tie. 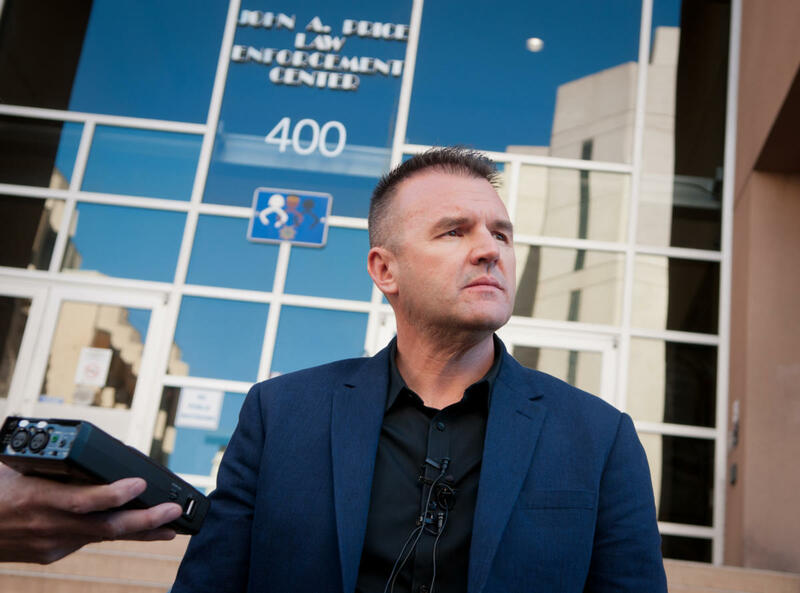 The heat is on Mayor Keller and APD Chief Mike Geier to get rid of Public Information Officer Simon Drobik after it was revealed he pulled in nearly $193,000 in annual salary. That makes Drobik, whose visage has become well-known to TV news viewers because of the constant crime coverage, the highest paid employee for the City of ABQ. If Mayor Tim Keller and Albuquerque Police Chief Mike Geier don't fire officer Simon Drobik they will support and defend sleaze and corruption at APD. Human Robot Officer Simon Drobik made $192,973 last year, making him the highest paid city government employee. Drobik put in for 2,809 hours of OT in 2018. Drobik billed the taxpayers for 5,063 hours of work in 2018. To accept and reward corruption, or to punish it immediately so it does doesn't spread and become a routine way of doing business? Mayor Keller's office says he cannot be involved in the firing of a classified employee such as Drobik, but Mayors can and have found ways of making their feelings known on such matters. Former BernCo Chief Deputy District Attorney Pete Dinelli, writing for his web site, questions why the TV news departments that made Drobik famous in the community have shied away or ignored the Drobik overtime story and the call for his firing. What's up with that, newshounds? Drobik is nearly as recognizable as the anchor people. Also on the PIO front, a couple of newsroom veterans have found new homes in state government. Thom Cole, formerly of the New Mexican, is writing the "propaganda" for the General Services Department and former high-profile KOAT-TV news anchor Marisa Maez has signed on as the PIO for the Dept. of Transportation. Republican Yvette Herrell wasted no time after losing her bid for the southern congressional district to Democrat Xochitl Torres Small last November. In January she was already an announced candidate for the 2020 GOP nomination. In the first quarter she reports raising $200,000 and now has $285,000 in cash on hand. Torres Small’s campaign reported $441,000 in donations and about $519,000 cash on hand at the end of the first quarter. The issue here is Herrell. Some Republicans remain nervous about her chances and doubly so now that Torres Small appears more vulnerable than just a few months ago. That's because of the immigration crisis at the border and the congresswoman's challenge in threading the needle on the complex and fiery issue. In '18 Herrell refused to debate Torres Small and refused to answer TV attacks over her alleged self-dealing with the state government while she served as an Alamogordo legislator. As we've blogged, the nervous R's are casting their eyes at Claire Chase from a wealthy SE NM oil family as a possible GOP hopeful. But she has given no signals. A 61 year old GOP Las Cruces businessman, Chris Mathys, has announced a run, but is not expected to be able to raise substantial funds. There is no recent record of a losing general election congressional candidate in New Mexico coming back and winning the second time. Democrat Richard Romero tried it in 2004 after losing the ABQ seat to Republican Heather Wilson in 2002 but lost to her again in 2004. But it may be too late to have Herrell step aside or be challenged. She is off and running and the National R's seem to think even a somewhat damaged Republican can take back the seat given the higher turnout expected in the conservative SE in a presidential election year. There are no FEC money reports yet for the northern congressional seat being vacated by BRL because there were no candidates in the first quarter. But there should be plenty to come this quarter. Already two Dems have announced for the nomination with more more lining up. And these really are, well, bottom lines today. . .
Finding bathrooms around the plaza has been a challenge for years, even prompting one business owner to propose an app to help people find businesses with bathrooms available. Now, thanks to $550,000 from the legislature, the city plans to build a restroom near the Water Street garage. The preliminary design includes 22 stalls and a family restroom. Construction is expected to start in the fall. Here's to no more bursting bladders among the tourists. We were about to invest in a diaper store up there. Owning It: State Dems Euphoria Interrupted By Crime Crisis, Plus: Heinrich Taking Heat On Interior Nominee Vote; Sights On Bigger Things? The state's Democratic leadership--specifically the Democratic Governor and Democratic Mayor in ABQ--are finding out what it's like to take ownership of the crime crisis that continues to engulf the ABQ metro and makes itself known with regularity in other locales. They seemed caught off guard by by the recent outbreak of violence in a short time span involving the deaths of children and murders in ABQ and Farmington. The spree included the shooting death of an eight year old girl, the child abuse deaths of an 11 month old infant and a 5 year old as well as assorted other killings that made for blaring headlines. Gone were the sunny Dem declarations heard in the aftermath of the recent legislative session that everything was coming up roses and lollipops--or soon would be. They found themselves on the defensive and dealing with the stark reality that remains New Mexico today. We grieve the recent deaths. We as a new leadership team are constantly looking to learn from the mistakes of the past. The safety and welfare of the children and other victims is and will always be our first priority. For now time is the friend of the administration but if the killings and mayhem continue, time will become the enemy. We are hiring more officers and making progress toward fighting crime, but this week’s violence points to the larger issues of gun violence, child abuse and domestic violence that we are taking on as our top priorities. I want people to know that we are working hard, and developing multi-pronged approaches to each of these challenges. The chief forgot something--drugs. That would be D-R-U-G-S, Chief, but your boss did cover it a bit below. Keller says the city is "expanding the number of places for kids in Early Childhood programs that break the cycle of poverty and violence and give professionals a chance to catch signs of abuse and also addressing the behavioral health and addiction challenges that are underlying contributing factors to child abuse." So MLG, Blalock and Keller want to get the hobbled behavioral health system restored and hopefully start chipping away at the drug epidemic. But a boost in old fashioned policing and jailing of the drug pushers probably needs to be part of the equation. That may be easier for Republicans to say, but it's the Democrats who are in charge now. It's a rare sight indeed to see one of New Mexico s environmentally oriented US Senators being attacked in statewide TV ads by one of the leading environmental groups. 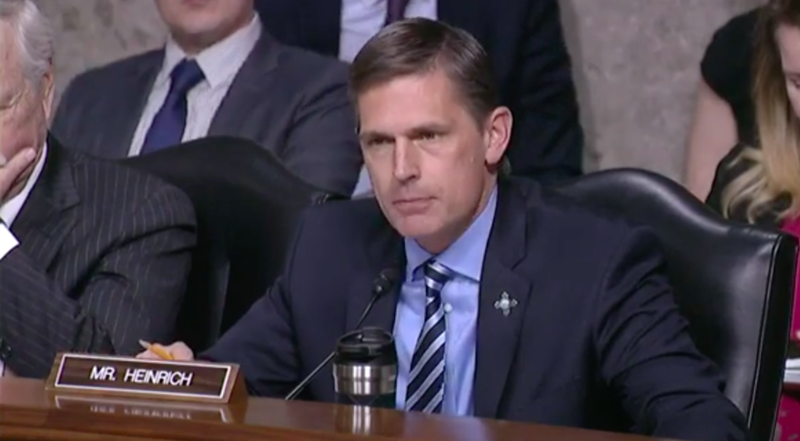 But Dem Senator Martin Heinrich's vote to confirm David Bernhardt as Secretary of Interior enraged the Western Values Project and they have put up what they say is a "six figure" TV buy attacking Heinrich for the vote. Bernhardt is an attorney who worked as a lobbyist for mining and oil companies. The group's news release attacking Heinrich's vote and the TV ad are here but the ads came right after the full Senate vote so they were for naught if meant to influence Heinrich's vote. They may be inflicting some political damage but Heinrich was safely re-elected last year and doesn't face re-election until 2024. 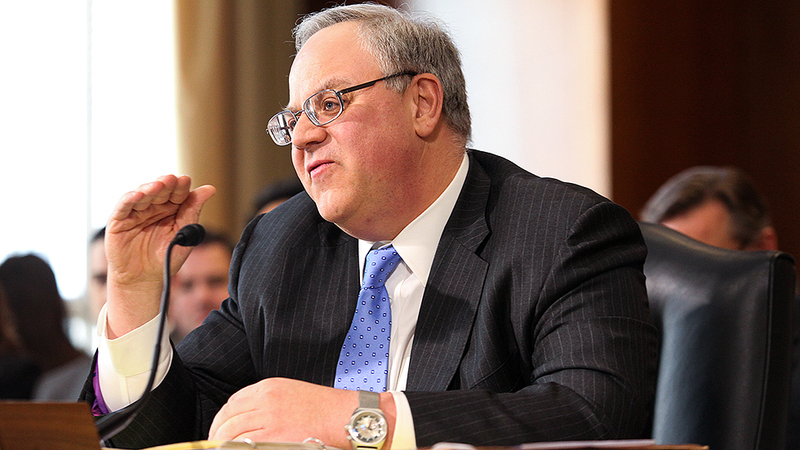 While we do not — and will not — agree on many issues or policy decisions, I have found that acting Secretary Bernhardt has always kept his word. Heinrich adds that Bernhardt has supported protections for White Sands Missile Range. DC insiders and Alligators here are gaming the politics of Heinrich's unusual vote. They say Heinrich has long had his eye on someday becoming Secretary of Interior, They speculate that his vote for Bernhardt could win him goodwill from Republicans who control the Senate and are expected to still control it after the 2020 presidential election. The thinking goes that if a Democrat takes the White House Heinrich would have a shot at being nominated to Interior and would face a confirmation vote in the Senate--a vote that would now be easier for GOP Senators to take. But maybe not so easy for some of his fellow Democrats. It appears both of the two veteran ABQ GOP city councilors up for election this year will seek another term. Realtor Trudy Jones, first elected to the council in 2007 has not formally announced she will seek a fourth term, but City Hall watchers say she is gearing up for a run. Jones will be the favorite to win the seat again. It's one of the few council districts that leans R.
Meantime, Republican Brad Winter, the longest-serving councilor who we told you this week will seek another four year term, will have some opposition. Democrat Athena Ann Christodoulou, 63, president of the NM Solar Energy Association, has taken the first steps to qualify for public financing for the November 5 election. Also up for election this year are Dem Councilors Ike Benton and Pat Davis. Zach Quintero, president of the Young Democrats of NM, has already announced a bid against Benton and two others are also exploring a run, according to the city clerk's site. Davis is also expected to have a foe, but the City Hall watchers say he does not appear to face as tough a race as Benton. The council is currently controlled by the Dems 6 to 3 but the panel sometimes divides along nonpartisan lines. 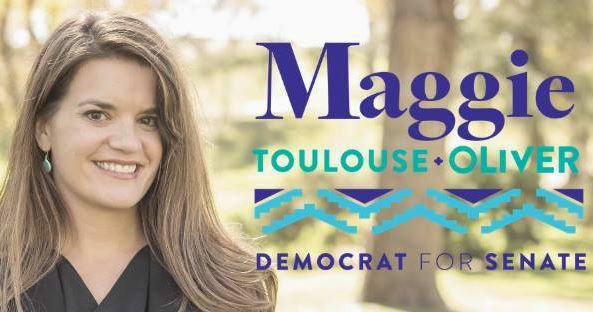 . .
Secretary of State Maggie Toulouse Oliver is working to create some pre-announcement buzz and appears ready to join the Dem chase for the US Senate nomination. Rep. Ben Ray Lujan is the only officially announced Dem candidate. Toulouse Oliver will make an announcement about her plans this month. . .
Republican Yvette Herrell has some company in the race for the 2020 GOP nomination for the southern congressional district. 61 year old Las Cruces businessman and Army veteran Chris Mathys has announced his candidacy for the seat held by Rep. Xochitl Torres Small who will seek re-election next year, Herrell won the GOP nomination in '18 but lost to Torres Small.
. . . Home visiting is not punitive and it’s not about inspecting or judging,” Sánchez said. “It’s about a relationship and journey with somebody and presenting them with evidence-based best practices. April is National Child Abuse Prevention Month but you wouldn't know it looking at the headlines around here.